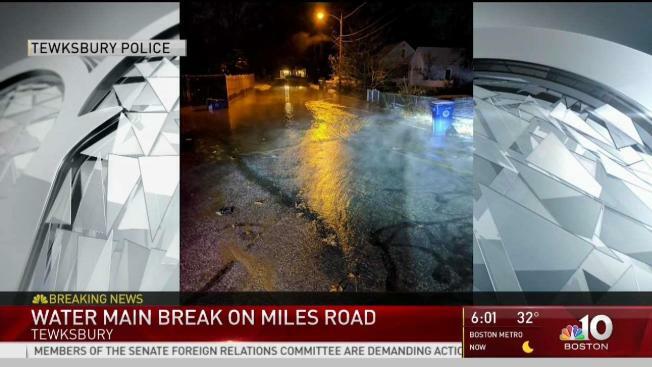 Residents in some parts of Massachusetts are without water following overnight water main breaks. Residents living on Miles Road in Tewksbury, Massachusetts awoke Wednesday to a flooded and partially frozen street. Tewksbury police say water service to residents in the area will likely be impacted for several hours. A seperate water main break overnight on Lake Avenue in Worcester has also left some without water.